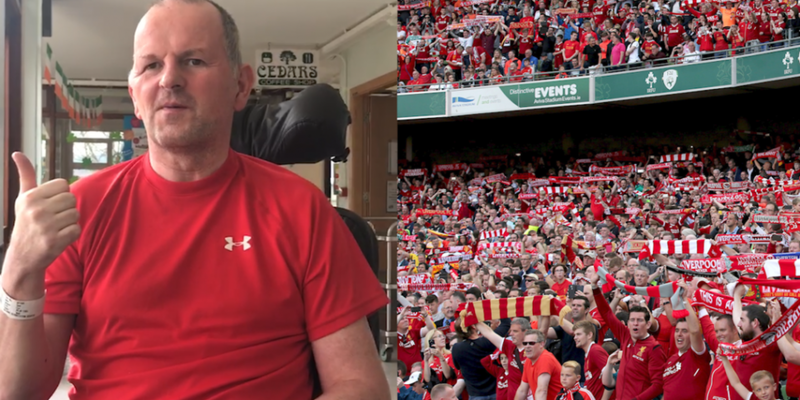 Sean Cox has given the thumbs-up in a new video ahead of a fundraiser tomorrow. The Liverpool fan suffered life-altering injuries following an attack ahead of the Reds' Champions League game against Roma at Anfield last year. Bake sale, bag pack or bingo. Seán is now in the care of the National Rehabilitation Hospital in Dun Laoghaire, where he continues to receive round the clock treatment. Tickets for tomorrow's game are available on Ticketmaster.